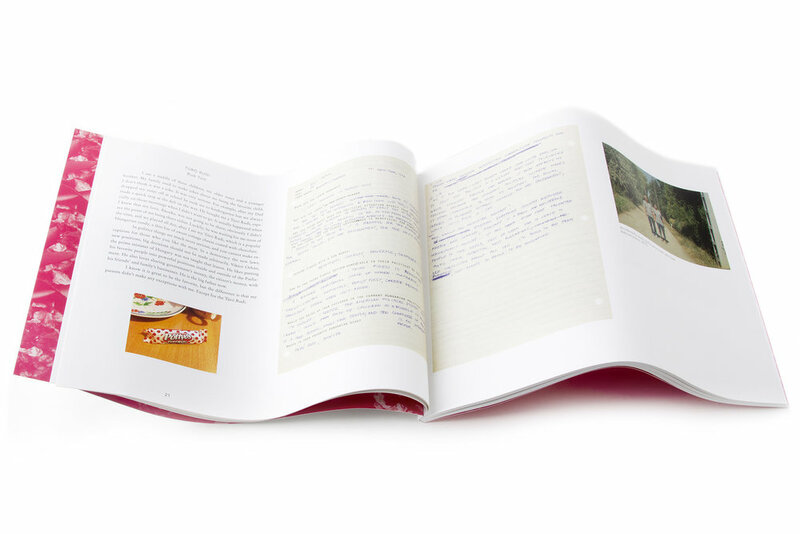 The Hungry Hungarians project represents and communicates my extreme disappointment with current Hungarian politics with the form of a cookbook. It criticizes the political and social changes that have occurred in Hungary over the past years through a presentation of images, Hungarian recipes and cultural stories. The book explores how Hungary’s political system moves further away from the Western democratic and liberal values. 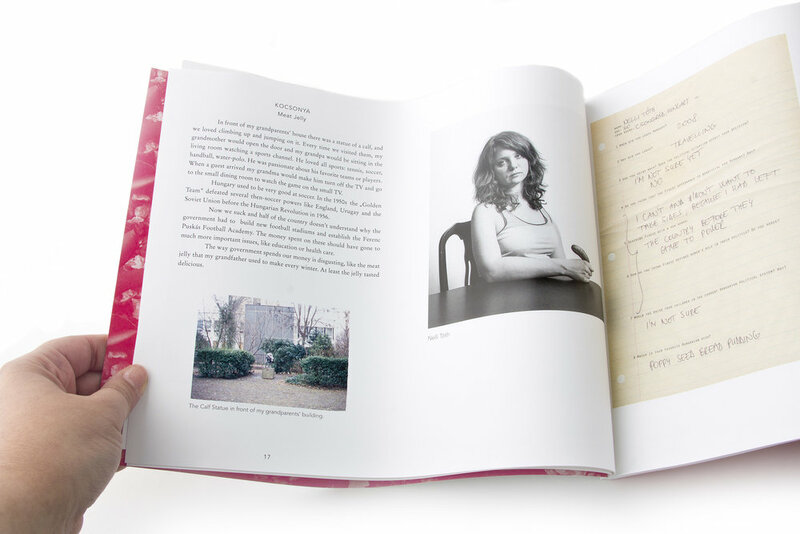 The book contains different elements: personal texts with associated food and family pictures, black and white portraits of and interviews with a women who left Hungary, and at the end of the book, I include the recipes of the dishes I mention in the texts. The women in the portrait images each hold pickles in their hands because it is a typical Eastern European vegetable. Hungarians eat pickles with many national main dishes, so they remind me of home even if I know that they are common in New York, as well. The shape of this vegetable is phallic so in the series they have three functions: cultural signifier, phallic symbol, and to connect the portraits to the recipe book that is central to the work, too. Pickles are ugly and sour but delicious. People love them or hate them. I feel the same way about Hungary." 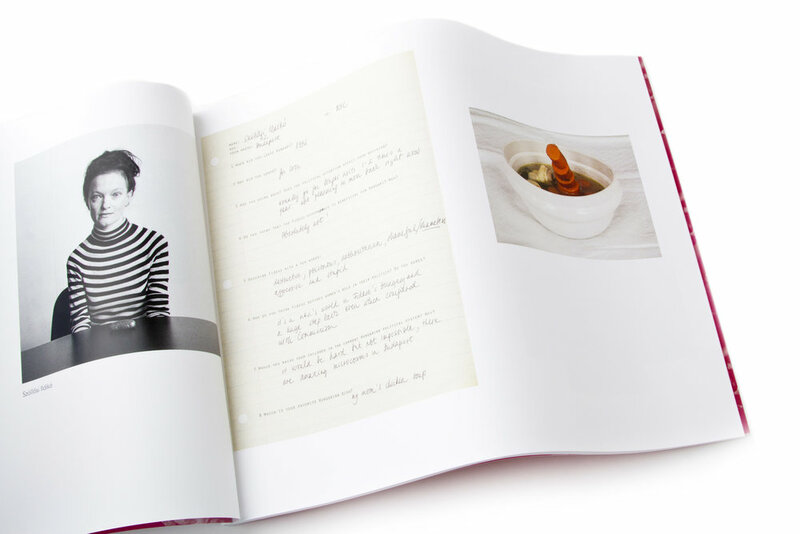 Julia's book is an interesting hybrid of a cook book, diary, photography book and artist book. In this book , Julia features several dishes that represent the Hungarian culture, history and taste. 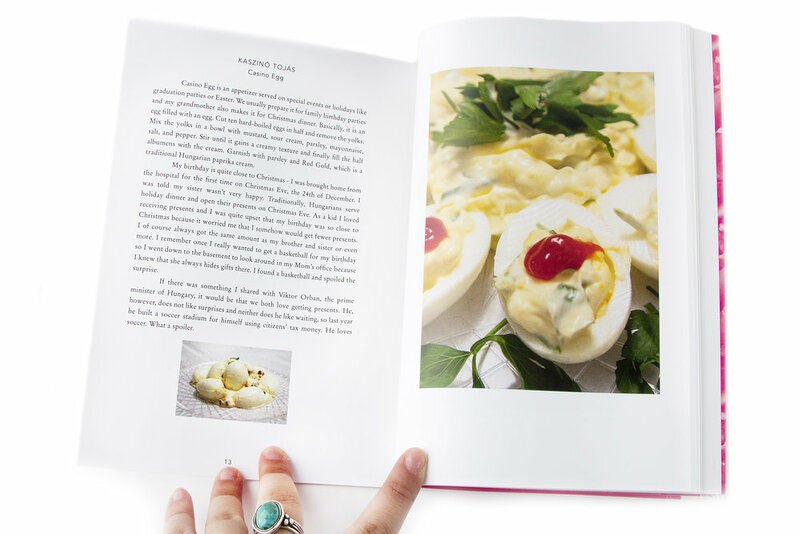 These recipes are both practical, in the sense that you can actually follow them and cook them, but also become a metaphor for the problems Julia is raising in this book. Along the book there is one main ingredient that follows us across the board – The Pickle. From the cover of the book, to the Black and white portraits of the women, it seems as if the pickle is a key to understand this book. As a phallic symbol in a book filled with women, it seems as if the pickle is both a traditional cultural reference, but also a sign for the relationship between the Hungarian woman to the men. It seems as if Julia is trying to overcome the power structor she has come to know, bringing the women to the front, allowing them to ignore or by in control of the pickle themselves. These women embody a new generation of Hungarian women, who wish to brake the traditional view of women. The book criticizes the political and social changes that have occurred in Hungary over the past years through a presentation of images, Hungarian recipes and cultural stories. Yet, it also seems as if Julia is trying to show us the soft, human side of Hungary and its people. It seems as if she is trying to fall in love with her culture once again. I think what I love most about the book is its design. The way it is all connected together in a beautiful sequence and layout. It has an elegant silence to it, allowing the viewer to both enjoy the images and read the text. It is a critical book that uses vibrant colors, metaphors, and well photographed images to both make a harsh statement, but allow the viewer to leave the book feeling that there is more to Hungary then we actually know, or think we know.